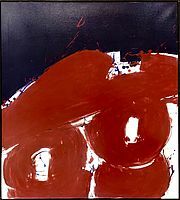 We are looking for Austrian contemporay art of high quality! We are looking forward to receive your offers! From now on we also offer art graphics of Gottfried Helnwein! Siegfried Kaiblinger presents the highlights of his gallery program in Spiegelgasse 21 in the international art quarter of the first district of Vienna. The spectrum of Gallery KAIBLINGER Vienna focuses on Austrian painting from 1900 until today and covers a range from classic modernism to contemporary art. Selective works from representatives of Austrian classic modernism like Egon Schiele, Gustav Klimt and Oskar Kokoschka are included in the gallery’s repertoire. Renowned Austrian painters of contemporary art can be found in our high-quality and extensive gallery program. We guarantee for the authenticity of all art works offered by us! We buy your art! – If you are owning an art work you want to sell - please send us some information. Gallery KAIBLINGER Vienna guarantees best possible consultation, discreet transactions and cash payment.